Construction and maintenance of mobile PROGRASS units with a 12m3 fermenting unit each and attached mobile sampling facilities. Shipping of the mobile units to 3 sites in Germany, Wales and Estonia in a European demonstration circuit . 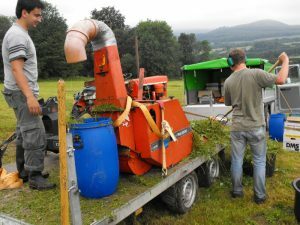 Standartisation of harvesting and conservation methods of biomass from NATURA grassland habitats and training of project personnel. Selection and preparation of demonstration plots in partner countries, active integration of stakeholders. Carrying out demonstration activities, twice in each country with a duration of 3 month each. 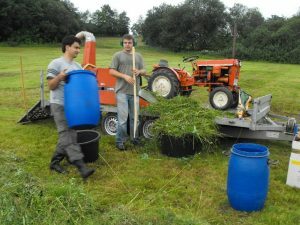 Collection of test samples for different vegetations and shipping of the samples for biochemical fuel analysis in a central lab at Kassel University and to a specialized laboratory of the industry partner to analyse and optimize the combustion parameters of the solid fuel.